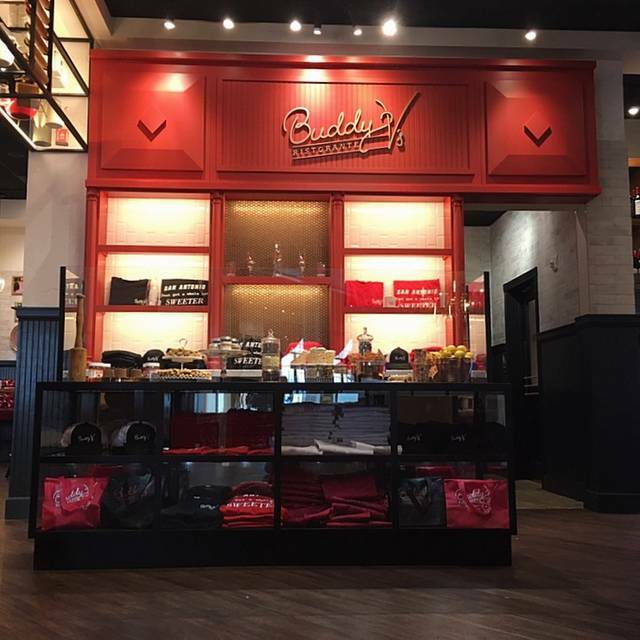 Buddy V’s is the Cake Boss, Buddy Valastro's fun and relaxed casual Italian restaurant. 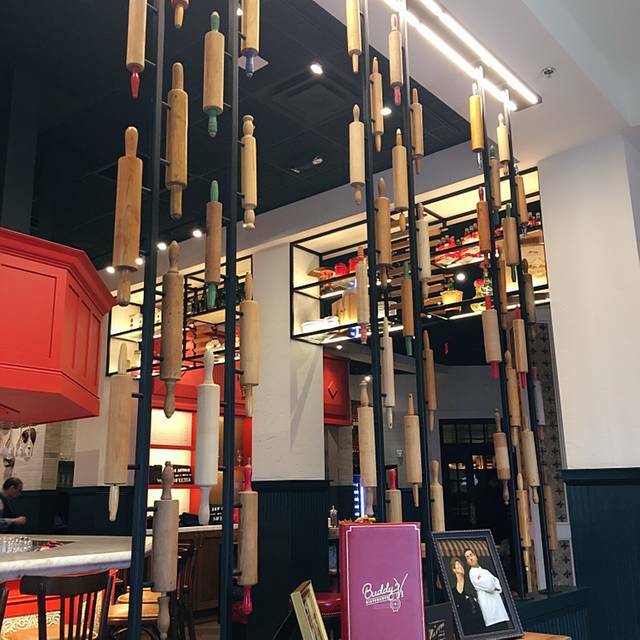 Inspired by the large family gatherings and special meals Buddy grew up with, Buddy V's offers fans and families alike an approachable and memorable meal in a comfortable atmosphere. 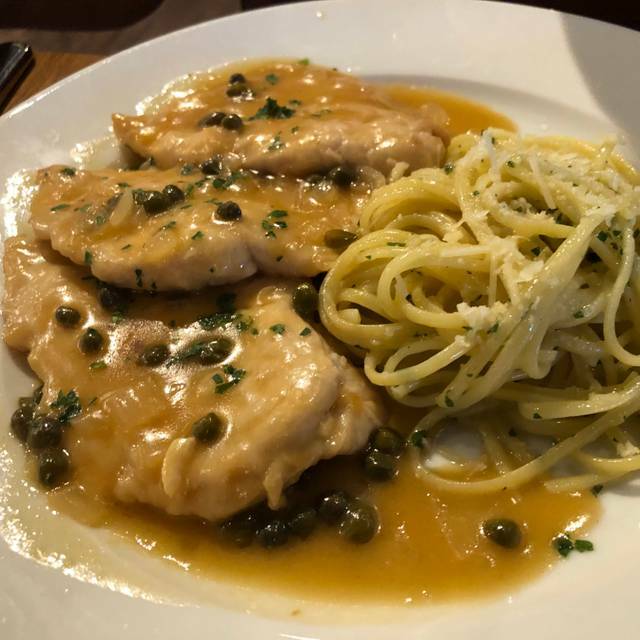 Food was delish ... veal Marsala for me and chicken with vodka pasta for my friend. Bread was awesome! The best part was the service! From bartender pre-dinner to waiter in dining room to bus person ... all were so friendly and fun. Definitely going back! Food was great service was good, we will definitely coming back ! It was just okay. Lasagna was good. Grandma's meatballs, and canolis were excellent. Chocolate chip cookie with a tiny scoop of ice cream was not good. Everything was perfect! My husband and I will sure be going again for sure. Evan was our server and was very welcoming and knowledgeable on the menu. He suggested one of your pizzas to try and it hit the spot. My wife was very pleased with her pasta as well. Excellent service, will definitely come back again. 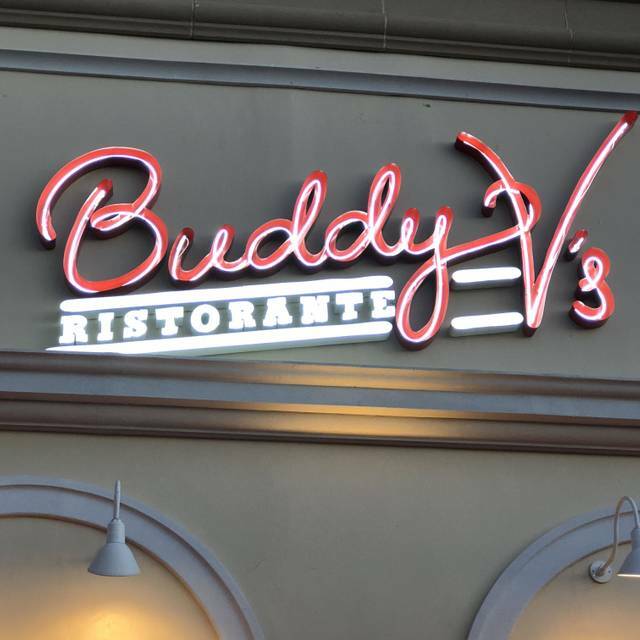 This was our first dining experience at Buddy V’s. A family member recommended the restaurant after a favorable dining experience. Service was very good and the wait staff attentive, but not intrusive. Orders came out in a timely manner. I would return to Buddy V’s. Chicken in the chicken rigatoni was over cooked and tough. There was very little ham. It was good for lunch and I enjoy the chicken parm, but the meatballs left a lot to be desired. The menu for restaurant week was just okay. I doubt I'll go back for a regular dinner. The service people was attentive and on the spot for our table needs. We are so happy this was a great experience, the food was fresh, hot ,Tasted better than expected full flavor, low salt and generous portions. They far exceeded my expectations. And the chicks at the front were hot!! Thank you!! Ordered the Restaurant Week Menu and they had run out of one of the two desserts. 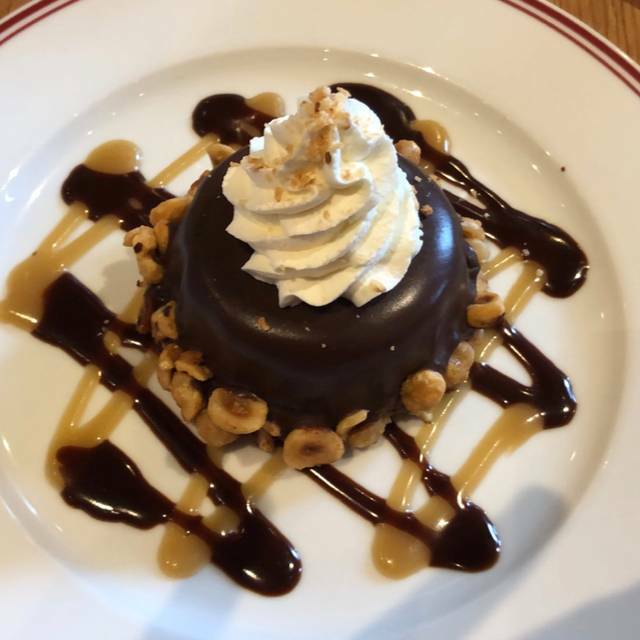 From online, we had seen an expended dessert menu for a la carte, but was told that was not available. Ordered the veal marsala and the veal was breaded, not just dredged in flour. Upon cutting into the veal, the breading separated and made a mess on the plate. husbands chicken parm looked like prepared chicken breaks. flavor profiles were good, quality of food not so good. nowhere near the excellence of the one in Las Vegas. Awful, awful food. No one in our party was able to eat what was served. The manager could have cared less about the nasty meal we were served, told us to take it home. The only place that food needed to be taken was out in the trash. We had read the mixed reviews online but decided to give the restaurant a chance, poor decision. Folks this place is truly s disaster, it may go down great in Las Vegas but we predict unless the owners do something quickly it will be out of business. Spend your money elsewhere, you deserve better for your hard earned cash. Waitress was friendly and helpful. Overall great service. The food was okay - not over the top - like the hype promoted. We were really looking forward to the cannolli but I was not able to eat mine (too full) but the others in my group said it was okay. We visited during restaurant week and had the $35 dinner menu on Wednesday evening. The tomato basil soup was better than average. 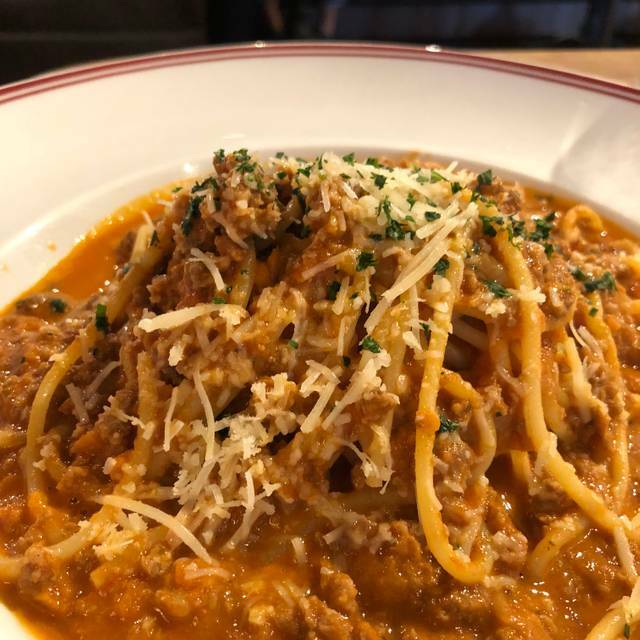 The spaghetti Bolognese had minimal sauce with decent amount of pork and beef. 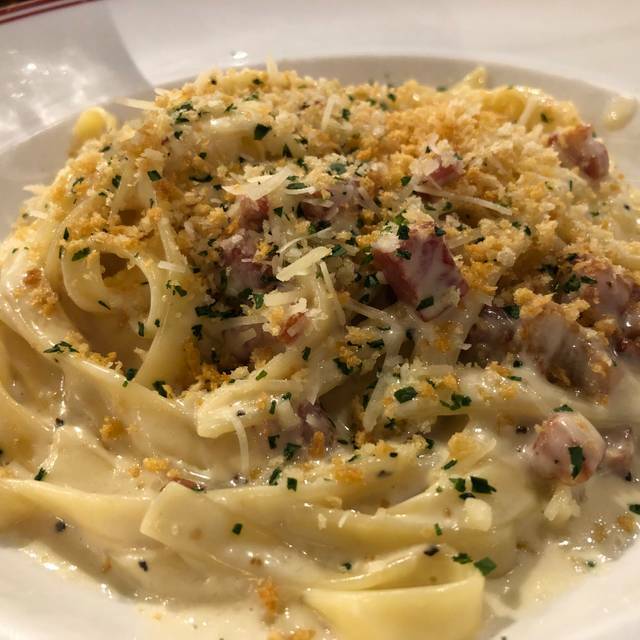 With so much pasta, I was able to appreciate the texture but not the flavor from the meats. The saving grace was the cannoli. The sweet cream with the sprinkles of pistachios and chocolate sauce was pleasant on my palate. The service was better than average by Ashley. Although there was only 5 tables w/ customers, in order to get the happy hour specials, I had to walk to the bar, select my drinks and appetizers, and pay for it at the bar. As an exception (probably because it was slow), the bartender brought my drinks and appetizers to the table. Overall, it was just an average restaurant experience. I would not purposefully seek out this restaurant again. There are too many other options right in LaCantera mall that provide fresh, more flavorful meals. 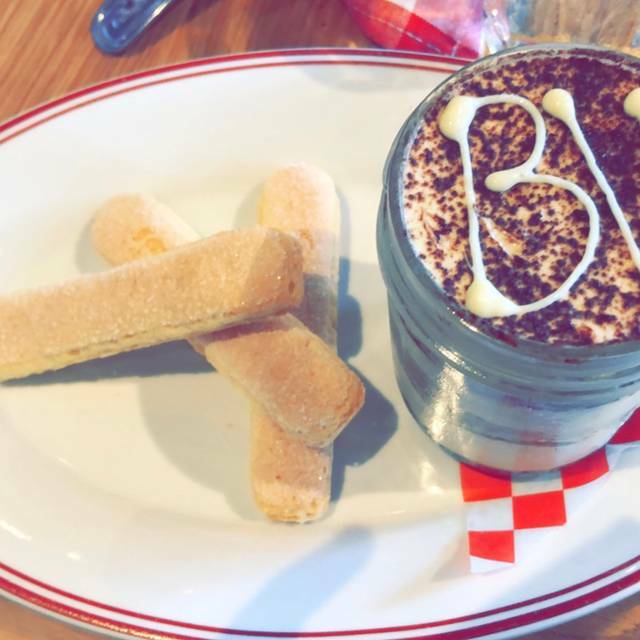 The food can only be defined as meh. If I was served the same food I wouldn’t be able to tell if it came from an Olive Garden or Buddy V’s. Our server was very helpful , polite and knew what the menu was about and made recommendations on our likings. Other than for her help the place was regular or low average. Made a reservation and still had to wait 15 minutes past our reservation time and there was only 1 couple waiting and another at the bar. It took a long time for the service. Food was okay but not great. The waiter did apologize for the service so I am not sure if it was an off night or what. Not impressed. For the most part everyone was really friendly. The staff in the red shirts were more friendly than our waitress which made it a wonderful experience. The food was plentiful for the price and very tasty. 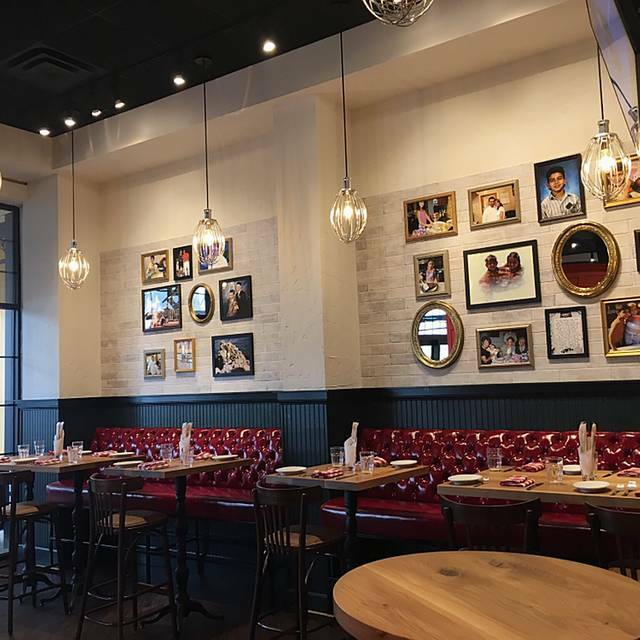 Buddy V’s is a great date night restaurant. Had dinner with friends. We all enjoyed our dishes and the bread was great too. I had a generous serving of Eggplant Parmesan. It wasn't busy for a Friday night, which we were glad about. In the past the service has been poor! Very disappointing since we are fans of Buddy V & excited about his restaurant here. But this trip was very good service. For the price, I would expect the wait staff to deliver the food and know which entree goes to which person. That is very annoying at any price restaurant, but particularly at an expensive one. I don't know if the service was good because it was evening, but in the past the poor service has been at lunch time. If my grandson had not asked to go the Buddy V's for his birthday, we would have chosen somewhere else where we have had good service in the past. The food was amazing and the service was outstanding! Will definitely be back. I really loved the food. Calamari was delicous. The chicken marsala was delicious. Customer Service was excellent. Free cannoli on my birthday was the best. I will be coming back soon. Service was great. The food was mediocre at best. Steak had lots of gristle and fat. The chicken Marsala was served over a breaded piece of chicken. The crab linguine a la vodka had 2 pieces of crab. Very disappointing. Amazing food and experience overall, the manager checked on us to make sure everything was going well. Definitely will eat here again! The create your own plate and spaghetti and meatballs was absolutely amazing! From the Host to the Servers, exceptional service. Definitely we will return. Great food. Our server, Kayla was awesome, and went above and beyond, noticing pistachios on the cannoli before we even noticed (mother in-law has a nut allergy). It was great to dine at one of our favorites and my son was able to take a pic with Buddy! Great night, Great food!